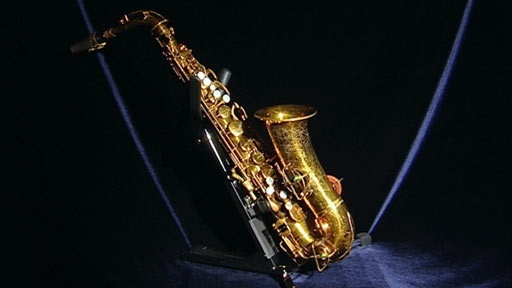 A woman owns a beautiful old alto saxophone that belonged to her father and according to family legend was once owned by the legendary jazz musician Charlie "Bird" Parker. Her late father, a white musician, told her that when they lived in Portland, Oregon, Charlie Parker came to a practice session without his horn. The story goes that when her father chided Parker for selling his instrument, Bird said, "If you want the horn so much, here's the pawn ticket." But is the story true? Did these two musicians ever meet? Would Charlie Parker abandon his horn? Related Investigation John Brown Letters How is this woman in Sacramento related to John Brown, the 19th-century abolitionist? Also with Wes Cowan Lookout Mountain Painting What can this painting tell us about a turning point in the Civil War? Also in Post War: 1945-1960 Unwed Mother's Home Is this small medallion enough information to help a woman find her birth parents? Related Investigation Star Spangled Banner Is this the first official copy of the national anthem?